Telesec Answering Service provides answering services to a variety of businesses to ensure that phones are answered 24×7. The website provides customers with current rates and contact information. 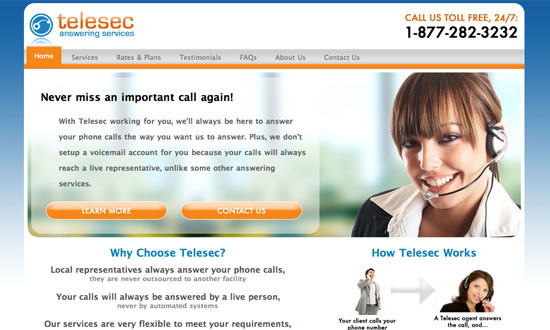 The website portrays the strength and credibility Telesec is able too add to a business by providing answering services.